So, while the previous game, Awakening, got good reviews from many places, some people weren’t satisfied with the storyline. That’s right. The gameplay and the graphics were highly reviewed, but some people said they wished we had gone a step further with the storyline. With Awakening, by changing the tone of the storyline, we were able to get positive reviews from new players of the series. But on the other hand, the story felt lacking to those fans who were with us from previous games, as they wanted a deeper and more complex story line. We took all those opinions to heart, and started to prepare to make the next storyline one that everyone would be satisfied with. But then we ended up deciding to make three at once. You didn’t stop with simply raising the quality of the storyline. You ended up having to write three storylines. That’s a lot of work. That’s right. I said to the staff, “There’s a man called Shin Kibayashi”, and at first everyone was silent. They couldn’t connect the author with his work. But I don’t think many people in Japan have made it to adulthood without encountering any of Kibayashi-san’s work. That’s right. Some people said, Kibayashi-san… you mean Captain Kibayashi from MMR22? He’s a real person?” (laughs)22. MMR: MMR Mystery Magazine Chousa Han. A Japanese manga series that ran irregularly in Weekly Shonen Magazine from 1990 to 1999. The manga’s protagonist was the MMR, aka Magazine Mystery Chousa Han, a group made up of editors for Weekly Shonen Magazine, who got together to solve paranormal cases. The members of the MMR were modelled on real-life editors, and the leader Kibayashi was modelled on Shin Kibayashi. The character of Kibayashi has an IQ of 170, can speak three languages, and connects all paranormal phenomenon to the destruction of humanity and the predictions of Nostradamus. And Kibayashi-san has so many pen names, which he uses for different work. For example, he wrote Kindaichi Case Files under the name Seimaru Amagi. So Maeda-san went over some of Kibayashi-san’s work, and everyone leaned back and said, “Wh-what did you say! ?”23 (laughs)23. “Wh-what did you say! ?”: The catch phrase from MMR Magazine Mystery Chosa Han. I had no idea how to go about meeting with Kibayashi-san. He’s not part of the game industry, and he’s busy with serials, so it wouldn’t be easy to contact him. You mean Yusuke Kozaki24.24.Yusuke Kozaki: In addition to his manga work, he is also active in a variety of different fields such as illustration and character design for video games and anime. 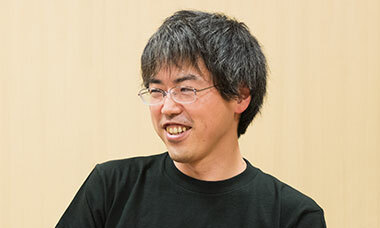 He became a manga artist after he received the honourable mention for the Monthly Newcomer Manga Award from the Japanese Young Magazine (Kodansha) in 1997. 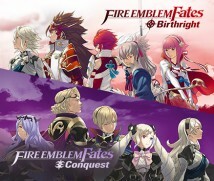 In charge of the character designs for Fire Emblem: Awakening, he resumes his role as character designer for Fire Emblem Fates. Also appeared in Iwata Asks: Fire Emblem: Awakening. It turns out that Kozaki-san and I work with the same editor. So we only had a 10% chance. And then we were able to meet with him in December 2012. We met in the middle of work. I had a meeting with my publisher at their office so we met at a nearby restaurant before my meeting. Maeda-san writes scenarios himself, so he was especially nervous. He must have felt like he was in presence of a higher being. It sounds like there was text running through Maeda-san’s head at that moment, like “A god has descended upon me!! !”25 (laughs)25. A god has descended upon me: A god descends. Often used in comments on Internet message boards and videos to describe the descent of people considered to have superb or god-like skills. Earlier, Maeda-san said there was only a 10% chance. But at the time, I was 100% sure I would turn the job down. So why did you meet with them? When I asked them “Why did you decide to ask me?” and I was shocked to hear that Maeda-san had read or watched most of my work. There are a lot of people who know parts of your work, Kibayashi-san, but there aren’t very many people who have read or watched most of your work.